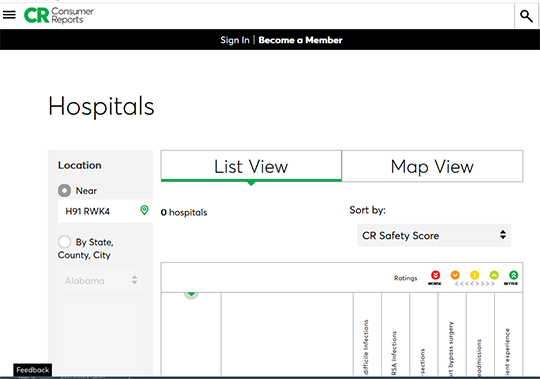 Consumer Reports hospital ratings compares hospitals based on their Safety Score, as well as individual measures relating to patient experience, patient outcomes, and certain hospital practices. Their hospital Ratings are based on data on infections, readmissions, complications, other adverse events, and more. A subscription to Consumer Reports is required to access their report card.